Currently, this cafe serves espresso drinks, ice cream, desserts, smoothies, breakfast and lunch specials. 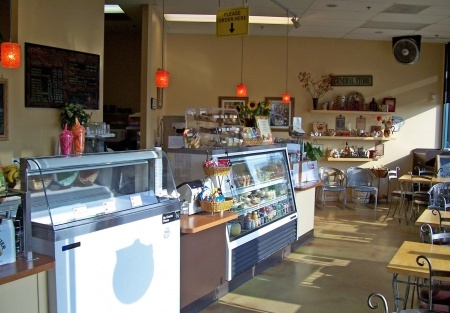 The cafe is on an end unit located in a very busy complex, great area, with good traffic flow. The restaurant has 1,070 sq. ft. with plenty of charm. You would be proud to own and operate this clean and well maintained restaurant. There are 20 plus seats inside with 6 outside--could be more. Current monthly rent rate is $1,788 and monthly CAM at $298. This facility is located in a very busy center with a high traffic flow. Take a look--you'll love what you see.This is a Stone Path Brokerage Services, Inc. DBA Selling Restaurants San Diego listing. 1070 Sq.Ft. with outside seating.